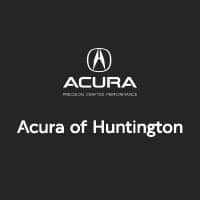 At Acura of Huntington, we offer a variety of different vehicles that give our customers the ability to find that perfect new car fit. We know every driver has different needs and lifestyles, so we want to highlight some situations where one type of Acura may be better suited than another depending on the stage of life you’re currently enjoying! Teen/new drivers: We all know parallel parking and backing up can be kind of a pain, especially if you’re new at driving. For a teen or new driver, we recommend a model such as the 2019 Acura ILX. It’s a compact sedan that makes driving easier on a daily basis. Extra safety and driver-assist features like lane departure warning and a back-up camera are a must for new drivers. We also recommend this vehicle to college grads because it’s such a budget saver. Families: If you’ve added a little bundle of joy (or two) to your family, you might want something more spacious. For families, we often recommend our SUV models such as the 2019 Acura MDX or Acura RDX near Bayshore, NY. Both models offer plenty of room, plus the convenience and entertainment features that are suited toward a growing family. Empty nesters: For empty nesters looking to trade in that SUV for greater efficiency or more thrills, we love both the 2019 Acura TLX and the Acura NSX. The Acura TLX gets great gas mileage and is obviously more of an everyday car, while the NSX is an exciting weekend kind of vehicle with tons of luxury sport features. We hope this info helps point you in the right direction. When you’re ready to see one or more of these models in person, don’t hesitate to visit us in Huntington Station. We look forward to working with you to fulfill your new car goals soon!